This exquisite tri-colour ink with VIVERA technology delivers faithful and quality colour printing. The cartridge contains 5ml and can cover up to 175 pages. The cartridge is numbered 342 and is designed for HP DeskJet 5440 and HP PSC 1510 printers. For shipping to other EU countries visit this page HP 342 Tri-color Original Ink Cartridge C9361EE. Chcete doručit zboží do Česka? 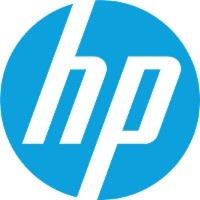 Prohlédněte si HP C9361EE č. 342 barevná. Chcete doručiť tovar na Slovensko? Prezrite si HP C9361EE č. 342. Magyarországra történő kiszállításért tekintse meg ezt a termékoldalt: HP 342 (C9361EE).